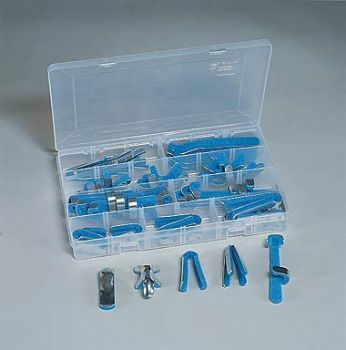 An assortment of 45 popular padded specialty splints in a plastic organizer. Convenient for clinics, hospitals, industrial clinics and sports training rooms. Call 800.843.4395 for information on cost and how to buy. Item 10030 contains an assortment of 45 popular padded specialty splints.